The Arab quarter long ago reached saturation point for mediocrity with its Middle Eastern offerings. 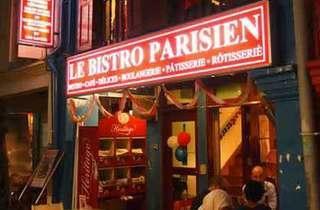 Thank goodness, then, for this narrow, two-storey halal French bistro fronted by local chef Haji Rahmanudin Hamdan. 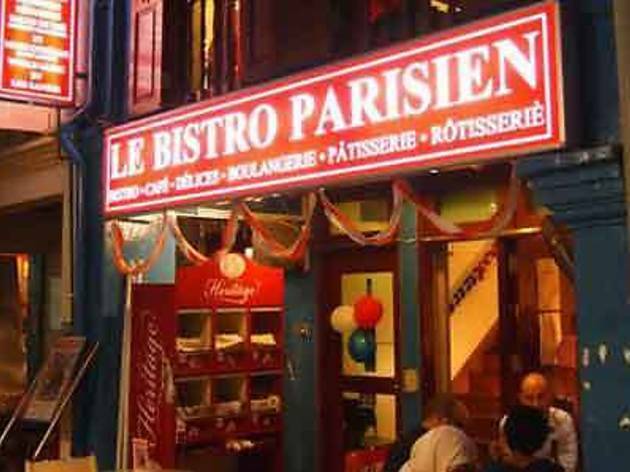 A boxed-in shophouse with a limited alfresco seating area (really, it’s just two tables on the 5ft way), and a more spacious second floor decorated with retro Malay movie posters, Le Bistro injects much-needed variety into the area’s options. Classic French dishes include rack of lamb with rosemary, and baked escargots bourguignon served on a bed of green pea purée. The tiny kitchen also makes its own bread and pastries: the fact that it’s halal is just a bonus.